The Colorado River through the Grand Canyon. The Colorado River flows for over 1400 miles through four U.S. states, though it drains seven. It’s sometimes called the American Nile because nearly every drop of it is used by the civilization of the American West. Over 90% of the river is diverted and consumed by nearly 40 million people -- not all of whom live in its watershed. It’s a lifeline in a desert -- something to fight over. But when it gets squeezed through the tight canyons it has carved for itself it creates dramatic places for adventure. And it sure is pretty. Today on The Source, three stories of the Colorado River. One about a wooden boat named for a place on the Colorado River that wouldn’t be there if it weren’t for a conservation great named Martin Litton. Also, two guys named Eric talk about Lake Powell. And finally the story of two bodies of water that kissed for the first time in a long time. Duffy Dale in the boat he built in memory of Martin Litton. Martin Litton was a conservationist and an adventurer, who is credited with the audacious feat of preventing the Grand Canyon from becoming a series of mild cascading reservoirs. He also perfected the flat-bottomed drift boat that is now known as the whitewater dory into what he thought was the exact right shape for the rapids of the Grand Canyon. Martin Litton died around this time last year at the age of 97. In the year since his death, a new dory has been built in his honor. Filmmaker Pete McBride has a new film coming out -- Martin’s Boat, produced in part with O.A.R.S. Rafting, an outfitter that owns and manages Martin’s fleet of dories. 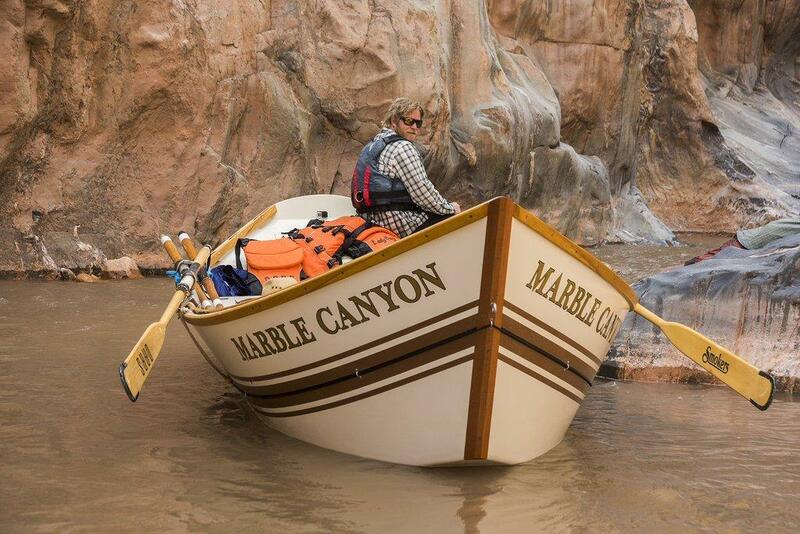 McBride followed this new boat -- called the Marble Canyon -- on its maiden voyage through the Grand Canyon. Jennifer Pemberton talked to him at his home in Colorado. Lake Powell was created over 50 years ago by damming the Colorado River and flooding what was Glen Canyon. At the time Glen Canyon was relatively unknown, but many believe it was beautiful enough to be its own national park. Now Lake Powell is a place for recreation, and a source of energy and water storage. Utah state officials hope to tap the reservoir to nourish a growing population. But others say it’s already tapped out, and doomed because of climate change. Ross Chambless spoke with two people advocating two very different actions with Lake Powell. Two people named Eric (one from the Glen Canyon Institute and one from Utah's Division of Water Resources). The public is encouraged to review the Preliminary Proposal for the Lake Powell Pipeline and submit comments to the FERC during the 90-day comment period. Because we’re holding back the Colorado River in these reservoirs and because of all these so-called straws -- the pipes and pipelines that allow us to draw water out of the river to use how we please -- the river actually runs dry about a hundred miles before it reaches the sea. But last year, conservation groups and government agencies played matchmaker and they actually connected the Colorado River to the Sea of Cortez in what many people -- even scientists -- called a kiss. Jennifer Pemberton hears the story of that kiss (called the "Pulse Flow") from Save the Colorado’s Gary Wockner, The Nature Conservancy’s Brian Richter, and Pete McBride. 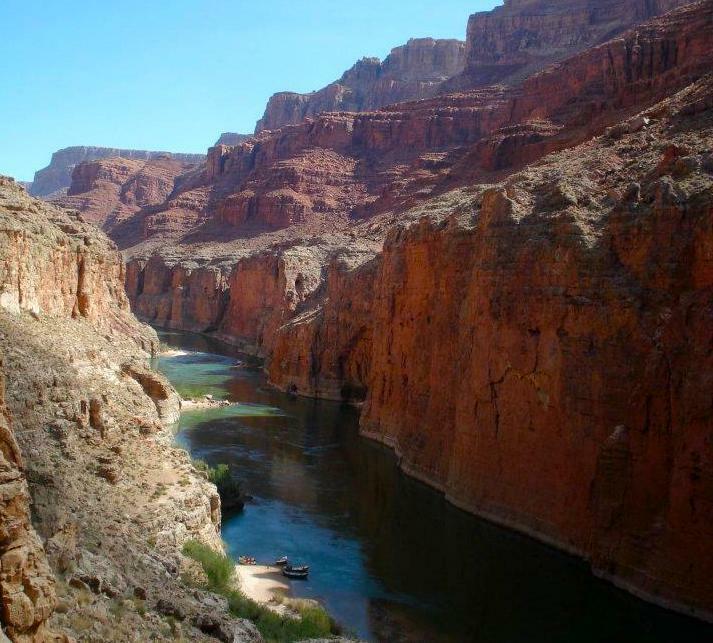 A surge of water into the Colorado River is being hailed as an important step in preserving endangered fish species in Grand Canyon National Park. According to Kevin Dahl of the National Parks Conservation Association, increasing the flow of water sends precious sediment down the 277-mile long river. “The key feature is the sediment that’ll carry in and redistribute along the Colorado River. It will build up sand banks along the river and create habitat that’s conducive to the endangered Humpback Chub in particular,” he said. 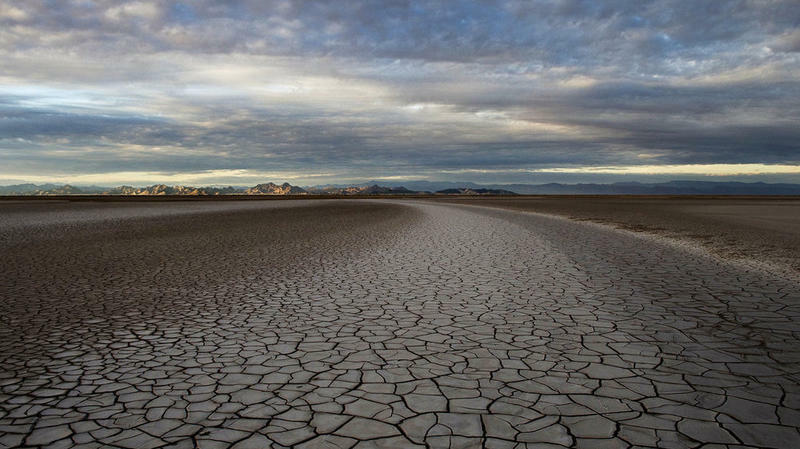 According to an Arizona State University study, the economies of six Western states, including Utah, could take a serious blow if water from the Colorado River were to become unavailable. The study shows that $1.4 trillion in regional economic activity is tied to the river, with 16 million jobs to go with it.